So I’m currently on a family road trip, through New England and a little bit of Canada. I proposed this trip because I’ve always wanted to visit Quebec City, but I had never been to Canada or most of New England. My family tried to schedule the trip after I left for Europe—but I couldn’t allow that, especially after I was the one who gave them the inspiration. 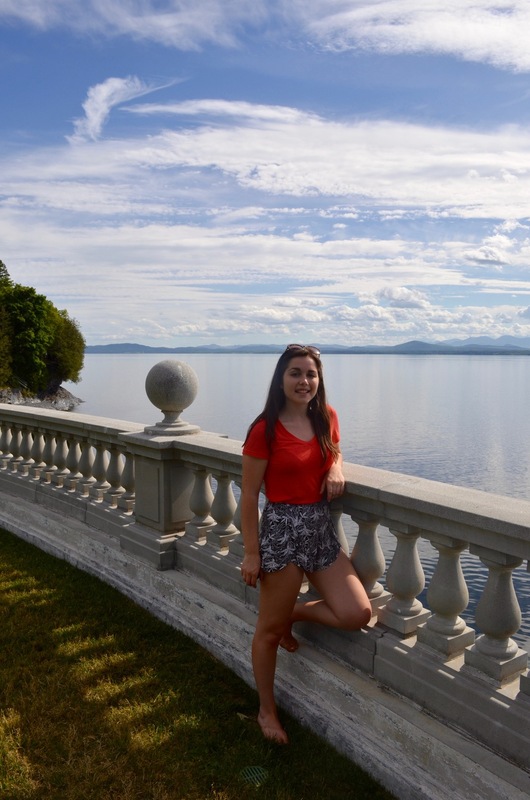 So as we finish up coming back down through New England, I’ll telling you our favorite places and activities from Shelburne, Vermont; Quebec City; Bar Harbor, Maine; and Newport, Rhode Island. I’ll start at the beginning, after a seven hour drive from Maryland to Vermont. If you’ve never been to Vermont, let me sum it up for you: hipster breweries, large maple trees, beautiful barns, and lots of maple syrup. 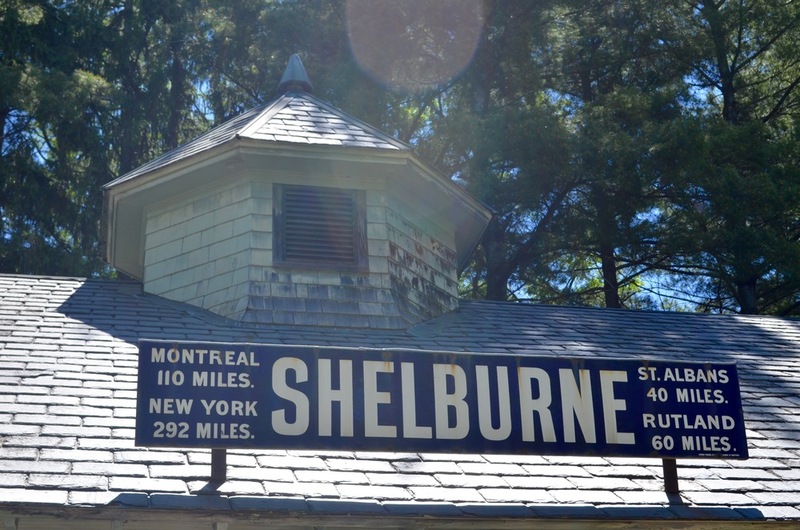 The area around Burlington is where we hung out, particularly the towns of Shelburne and Vergennes. This is a collection of Americana, ranging from art to trains. In the simplest of terms, this is a place to come to see pieces of history and culture, big and small. There are entire buildings (and a lighthouse) that have been moved from their original destinations around the United States to a few acres in Vermont. This includes a long horseshoe-shaped building that contains an astounding miniature hand-carved circus, which when lined up measures 525 feet long. There is a 1890 train station, equipped with train engines and passenger cars—this was one of my favorite parts of the museum to explore. The Ticonderoga is a 1906 river cruise paddleboat that operated by steam on Lake Champlain. Inside all of these structures, you can walk through and explore, with all the details intact. Honestly, the entire museum is like stepping into a moment from the past. Also, currently there is a 3D quilting exhibit featuring artwork by Dominique Ehrmann, that simply took my breath away with it’s beauty and creativity. Adult tickets are $24 with reduced rates for children and students. However, this ticket is valid for two days so you can explore the collection in full, without rushing. This is a must-see if you have any interest in history or culture. 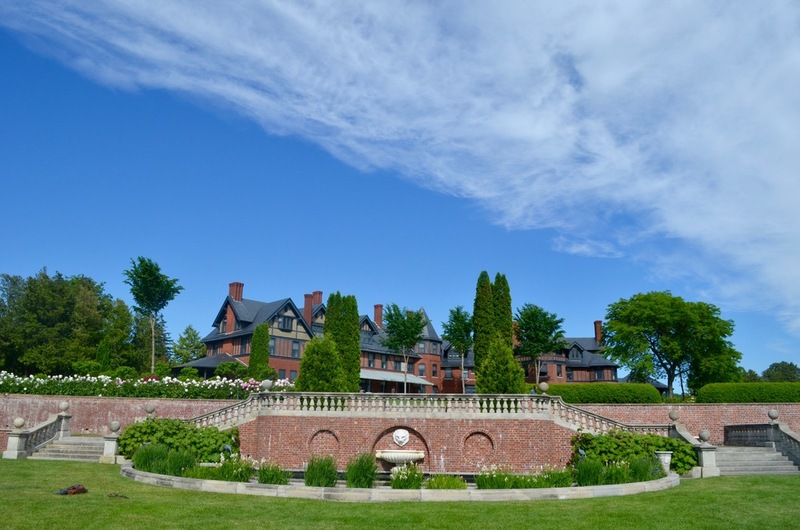 The other major attraction in Shelburne is the summer house and farm that were built for the daughter of Cornelius Vanderbilt and her husband. The summer house has become an inn, that still runs, and both structures are a small part of a large piece of property right on Lake Champlain. 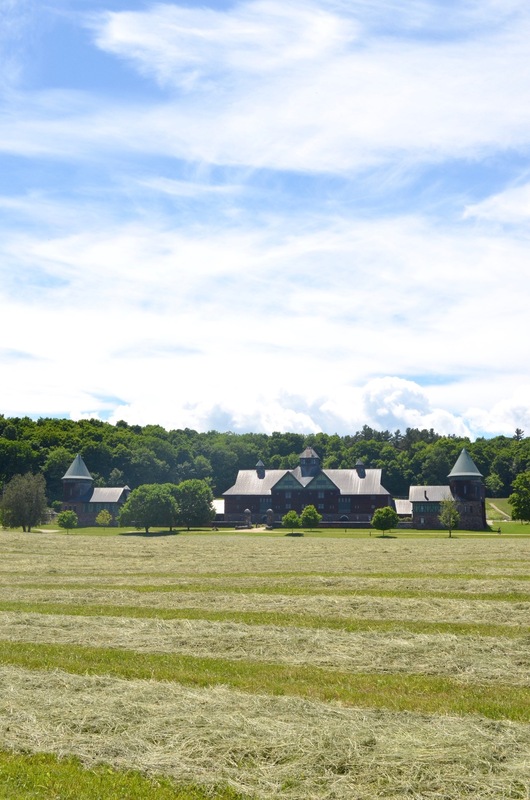 The farm is also still operational and is known for it’s homegrown goods, such as delicious Vermont cheddar cheese that is made inside the barn from their cows. The barn is probably three times the size of the inn, and contains a great little bakery (buy their peanut butter cookies! ), the cheesemaking facilities, and many animals that you can visit. In the center courtyard of the barn, there is a little farm cart that is perfect for grabbing lunch or a snack. The barn itself is probably best enjoyed by children, but adults will enjoy looking around and picking up some fresh food. I also recommend just driving around or taking a walking path and to view the magnificent structures and their grounds. We also booked a tour of the inn that ended with tea. This basically was a history of the house, family, and grounds led by an extremely knowledgeable tour guide. The interior of the house is simpler than one might expect from a Vanderbilt descendant, but beautiful and extremely well preserved. The library is still filled with the family’s books and guests are encouraged to read them—just as they are encouraged to sit on all of the original furniture and children can use the playroom in the attic, which is equipped with giant dollhouses and other toys from the last century. The tour changes based on if guests have checked into some of the rooms, but it was very pleasant and perfect for travelers who are interested in architecture or history. The tour ends with an invitation to informal tea, which is daily for guests of the inn who want to attend. There are finger sandwiches (pretty good, but nothing too special), desserts (quite yummy), and a spread of local teas both iced and hot (divine). The view however, was even more spectacular than the tea, straight across Lake Champlain to the mountains, with gardens designed by Frederick Law Olmsted, who designed Central Park, in the foreground. The tour was $18 for adults, and a few dollars less for children, and while this may seem a little expensive, if you factor in what a cup of tea and dessert costs, it is perfectly reasonable. This little pizza joint was recommended to our family by our airbnb hosts, and from the moment I walked in and saw the huge bushes of basil and brick-oven, I knew it would be good. The service is basic, order at the counter and set your table yourself, but the crust is the lightest I have ever tasted. We tried three kinds, the best being the Yellow Submarine, featuring arugula and yellow tomatoes. Right next door is the Fiddlehead Brewing Company and customers are welcome to carry into Folino’s a growler of beer, which my father said was quite good. Perfect for a cup of joe, a bottle of wine, or a small baked good. We loved the maple lattes and the granola bars. Cookie Love sells soft and hard ice cream and the name sake, cookies. The ice cream came in many traditional flavors and was the right amount of sweet. If you want something extra special, order a Lovewich, their version of an ice cream sandwich. Our favorite flavor combo was two double chocolate chip cookies with sea salt caramel ice cream between. 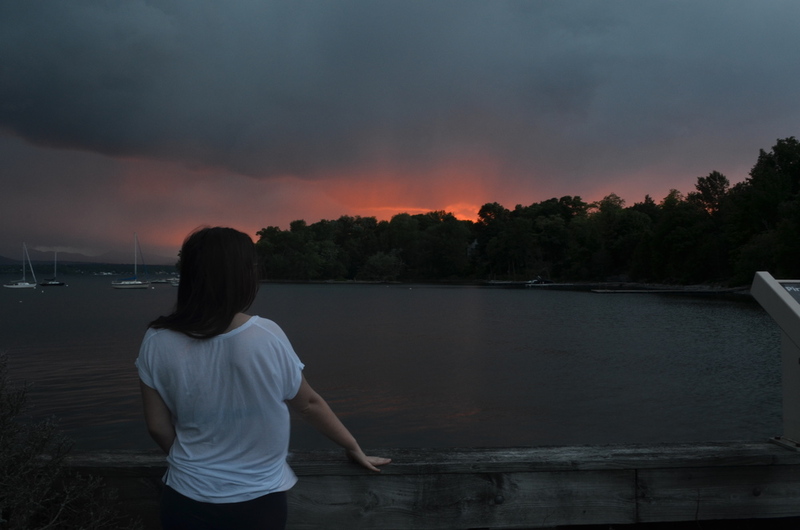 If you want a quiet and pretty place to watch the sunset over Lake Champlain, stop by the ferry landing. This is a nearby town, about a 15 minute drive farther than Shelburne. Super adorable little town, with a sweet main street that is typical Vermont. There is also the falls, because if you walk down the main road (be careful as there is not much of a sidewalk) at the bottom, on the right side there are stairs down to a small park that has a good view of the dam. For food here we loved grabbing simple fare to go at the 3 Squares Cafe that amazing homemade soup in flavors like tomato and roasted red pepper. This little barn has 3 or so locations, all filled with flannel made in the USA. It is warm and super soft—it didn’t make me think of the scratchy flannel I would had known previously. All the flannel you could ever want: pajama pants, shirts, and even a Vong (which is a thong made of Vermont Flannel). 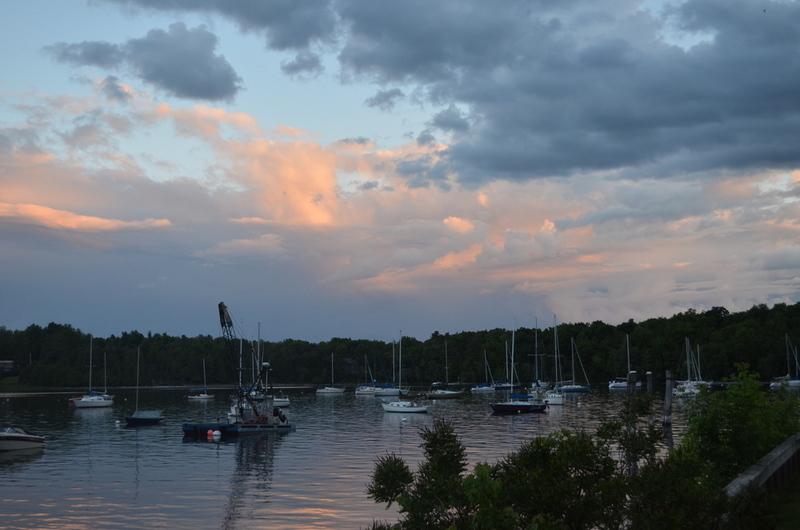 On that note, here are a few last pictures to convince you to visit Vermont.